Time sure does fly. The PlayStation 4 and Xbox One have firmly cemented themselves as an integral part of our living rooms, bringing forth new console experiences for over a year. 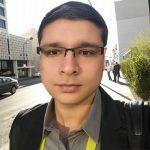 Many of you have visited this website to find the best gaming display for your needs, and I’m very thankful towards every person that continues to utilize and share our display input lag database to achieve this goal. With the new generation of gaming in full effect, I feel that it’s a good time to start exploring video game latency. Multi-platform game releases are more common now than they have ever been, which tends to spark debates on which version is superior. Graphical performance is usually the focal point of these discussions, however I also feel that controller latency is equally important. The amount of time it takes for your button press to register onto the screen is more than just display latency; it also encompasses your controller’s transmission speed, console and game engine. Controller latency is directly tied to frame rate, which is why it’s important to maintain a constant frame rate in order to achieve optimal controller response. For example, fighting games are almost always locked at 60 frames per second to achieve the fastest controller response on a 60hz display, which also enables the highest quality of competitive gameplay and visual fidelity. A reduction or shift in frame rate causes variable timing in anything that requires a set timing to perform, so the effect of frame rates are more than just visual. On top of that, different versions of the same game can have variable input timings! A good example of this is Ultra Street Fighter IV, which has different input timings between the Xbox 360 and PlayStation 3 versions. The Xbox 360 version tends to process inputs faster than the PlayStation 3 version, which is why it’s currently utilized as the tournament standard. A game that feels “heavy” or “weighty” usually feels that way due to latency between your controller and an action within the game. A responsive game is simply enjoyable. Regardless of genre, having your game respond near-instantaneously to your button press is always a positive outcome. It can allow for deeper gameplay experiences, whether you’re trying to beat the final boss of a game or win the world championship in Mortal Kombat X. Starting today, I will be launching our brand new video game input lag database. The database currently offers a limited assortment of games, however you can expect it to grow at a rapid pace. It will primarily focus on the PlayStation 4 and Xbox One, however I will definitely upload certain PlayStation 3 and Xbox 360 games if time permits. I am hoping that this information will prove useful to everyone, including game developers to help create better gaming experiences. Keep on reading to see how it works. Measuring the latency of a video game is a little trickier than measuring display latency, mainly due to the additional variables involved. There are differences in timing between controller chipsets, USB poll rates, and the consoles themselves. Most video game latency tests involve capturing your controller movement on camera while the game is running, and subtracting the difference between the button press and display response. While I am adopting this testing method, I wanted to do something a bit more accurate than estimating when I actually pressed the button. This is where the XIM4 comes into play. The XIM4 is a unique device that allows you to use a PC mouse and keyboard on game consoles. It currently supports the PlayStation 3, PlayStation 4, Xbox 360, and Xbox One. One of the USB ports on the XIM4 requires you to connect the controller of the console you wish to use it on, to bypass the authentication requirements of the console. The XIM4 allows me to use a single input method across all devices, which can potentially reduce the variability of four different controller chipsets. You can manage specific game profiles if you connect a XIM4 via Bluetooth to your phone, which serves as the configuration tool to map your keyboard and mouse to specific actions. As I have no need for a mouse, I only use the XIM4 to use my keyboard on each console. My keyboard of choice is the Ducky Shine 4 with blue Cherry MX switches. Ducky makes some of the best mechanical keyboards on the market, and this particular one has several lighting options. 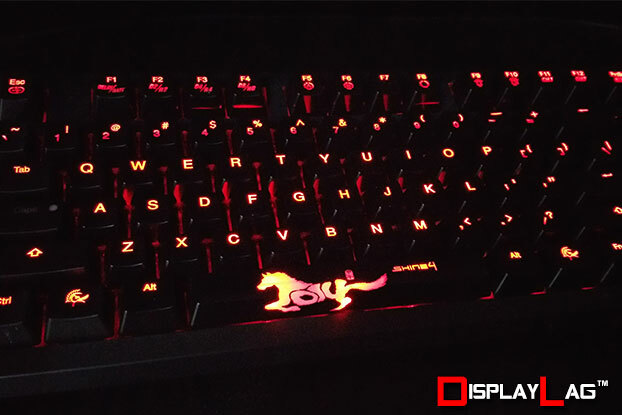 One of the lighting options responds to each key press, which serves as the basis for our input lag testing. By recording a key press with the game running, I am able to calculate the exact difference between the key lighting up and the first action that appears in-game. The keyboard supports a 1000hz/1ms reporting rate, which is far greater than what these consoles currently support. 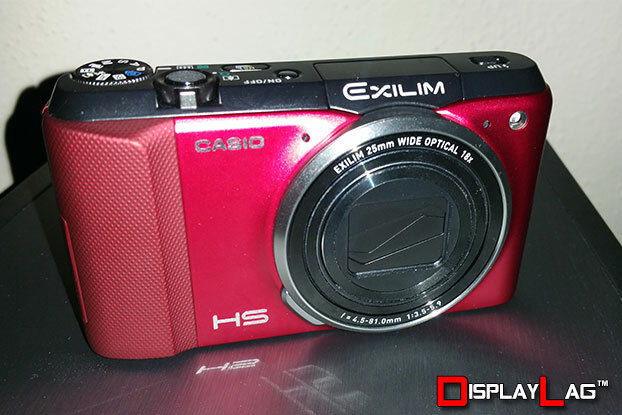 To record this whole process, I am utilizing a Casio Exilim EX-ZR800 high speed camera. This camera is capable of shooting up to 1000 frames per second, however recording at such a high frame rate results in an extremely small resolution of 224×64 with reduced brightness. Outside of gunshots, it becomes rather difficult to recognize the exact frame of an action occuring. Console games are limited to 60hz, so instead I chose to capture at 120 frames per second, which presents a much more usable 640 x 480 resolution. Capturing 120 FPS footage ensures none of the 60hz frames are lost. In the event I need more FPS, the camera also supports 240 FPS, 480 FPS, and the aforementioned 1000 FPS recording modes. Of course, we need a display to play the game. 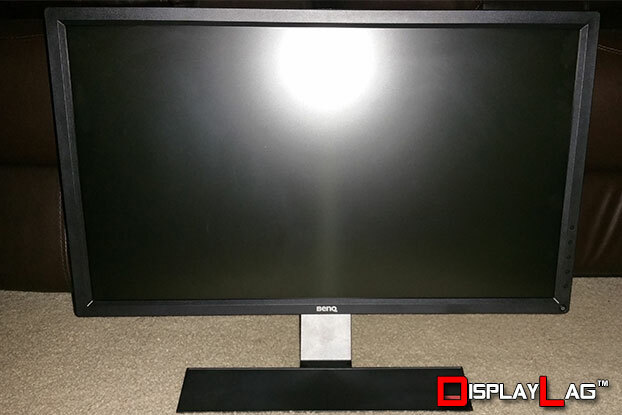 The display I utilized for these input lag tests is the BenQ RL2755HM, which we reviewed just over a month ago. This monitor has an average input lag of approximately 10ms, and is one of the fastest monitors in our display input lag database. Considering the fact that CRT televisions are practically extinct on the mass market, a fast LED monitor will be your best bet at achieving low latency gaming. 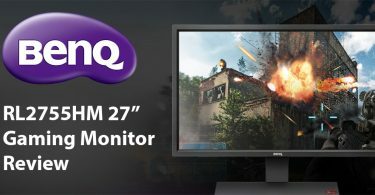 I personally find the BenQ RL2755HM very comparable to any fast 60hz LED display currently on the market. I tested several games on the PlayStation 4 and Xbox One, a few of them being multi-platform titles such as Destiny and Mortal Kombat X. To serve as a reference point, I also tested the dashboards of both consoles to serve as a baseline for measurements. The dashboards operate at 60 FPS and don’t stress the console, so you can typically hope to achieve the fastest controller response while sitting there (though this isn’t always the case!). Sometimes, a game’s frame rate doesn’t tell the whole story either. A game running at 30 FPS can sometimes process an input just as fast as a 60 FPS game, depending on how the the game engine handles inputs. In most cases though, a game running at 60 FPS will process inputs quicker than a game running at 30 FPS. So what can we take away from this? Based on this small sampling, most 30 FPS games are going to hover around 100ms of controller latency, whereas games running at 60 FPS can go below this threshold. However, some 60 FPS games can exhibit controller latency similar to games running at 30 FPS. For example, Mortal Kombat X exhibits an average controller latency around 107ms, which explains why the game feels a bit more “weighty” than a game like Killer Instinct, even though both games run at the same 60 frames per second. Whether or not it’s a design choice is up to the developers to answer. Generally speaking, a game running at 60 FPS should strive for a controller latency around 67ms, whereas a game running at 30 FPS should shoot for 100ms. These will typically be the best case scenarios a 60hz game can hope to achieve. When consoles become capable of utilizing refresh rates higher than 60hz, we can all enjoy even lower input latency than what is measured here. PC gamers have been experiencing the benefits of 120hz+ gaming for several years now. Below is the test I performed on the PlayStation 4’s dashboard. You can find videos for every game I’ve tested so far (including the ones listed above) on our YouTube channel, so be sure to check it out! Nothing is perfect, so there are a few variables that need to be taken into account. First is the latency from the XIM4 itself. 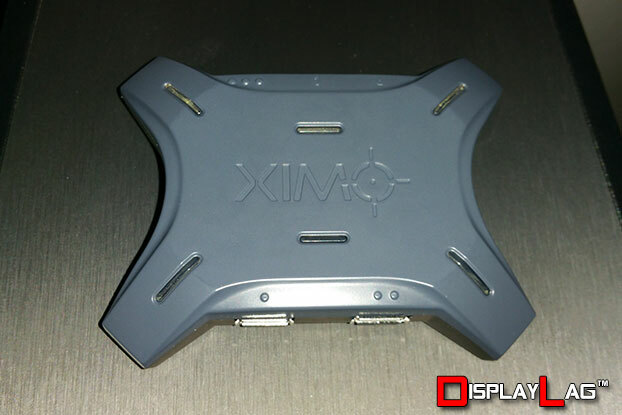 The team behind the XIM4 decided to normalize its USB polling rate in order to prevent compatibility issues among different consoles. Natively, the Xbox One and Xbox 360 have an 8ms polling rate. The PlayStation 3 is 10ms, while the PlayStation 4 can be as fast as 4ms. The XIM4 processes PlayStation 4 inputs at 8ms instead of the console’s native 4ms polling rate. Personally, I couldn’t detect any difference while using the XIM4, even when performing strict timing links on the Xbox 360 version of Ultra Street Fighter IV and the PlayStation 4 version of Mortal Kombat X. If the XIM4 adds any delay at all, I can’t imagine it being any more than a standard licensed controller. Even official controllers have variable delay among each other depending on the manufacturing process. I personally feel confident using the XIM4 for latency testing. Frame rate is also important. All of my testing was performed during stable parts of the game, where the frame rate remains relatively constant. If a game has an erratic frame rate, you can expect your controller response to fluctuate while playing the game. This is why it’s important for developers to achieve locked frame rates, to help normalize controller response throughout the game. Frame drops can happen for various reasons, so I felt the best course of action was to record inputs while the game was running at a stable frame rate. A good example of this is Destiny. Destiny on the Xbox One exhibited an impressive 96ms controller latency when compared to the PlayStation 4 version clocking in at 107ms, however the Xbox One version tends to suffer with more stuttering, resulting in a more consistent experience on the PlayStation 4. The game engine also plays a role, including factors such as V-Sync implementation. Different actions in-game may also take variable timing before animating on-screen. As a result, I am going to do latency testing based on the action that would typically require the quickest response, such as shooting a gun, braking a car, or jumping a platform. 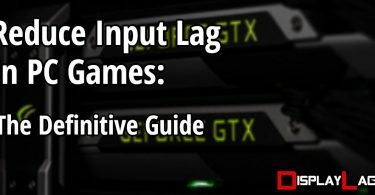 Input lag can vary based on display, but you already knew that! The BenQ RL2755HM, as mentioned earlier, is one of the fastest displays in our display input lag database for 60hz operation, so I feel comfortable using it for latency testing. If you primarily game on a HDTV, you can expect anywhere from 10-100ms added on top of the base game latency. Try to game on a low latency display, if you are able to do so! _______________I hope that the introduction of our new video game input lag database will prove useful to gamers and developers worldwide. While asking for 60 FPS in every game is an unrealistic expectation, I do hope that developers do what they can to normalize their frame rates to achieve optimal controller response in their games. Remember, don’t forget to check out our YouTube channel to see videos of our testing. As far PC gamers are concerned… stay tuned for our next article!